On March 23, 2017 Darrion Fletcher graduated from the American Red Cross Dental Assistant Program on Joint Base Lewis-McChord (JBLM), making him the first transitioning service member to complete the program at JBLM. When Fletcher enlisted in the military, he first trained in field artillery, wanting “to do something he couldn’t do in the civilian world.” But with his military contract coming to a close, Fletcher knew he now needed a plan to transition from service member back to civilian life. He started by taking classes towards a Bachelor’s degree in Biology, but also knew that professional hands-on skills were equally important. Having a passion for the medical field, Fletcher applied to the American Red Cross Dental Assistant Program. 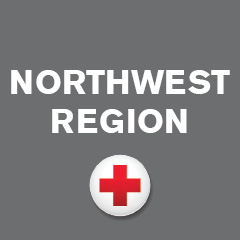 The American Red Cross Dental Assistant Program has been and continues to be successful in the Northwest Region thanks to the partnership with Joint Base Lewis-McChord Dental Activity (DENTAC). The six-month program is available to anyone 18 years and older who holds a military ID, completely free of charge. Students are required to complete 507 hours of classroom and clinical training, as well as 25 hours of volunteer service directly to the Red Cross. Graduates of the program obtain a certificate of completion and are available to be hired by DENTAC on any U.S. Base around the world. Many students use this program as a stepping stone to better their own lives, as well as the lives of their families. While the students are doing hands-on training with their assigned dental clinics, they are also giving back to their community by providing free support to dental teams. Students help with everything from scheduling patient appointments to assisting dentists with chairside exams. At the end of Fiscal Year 2016 Red Cross trained nearly 400 dental and medical assistants on U.S. military installations around the world. For more information about the American Red Cross Dental Assistant Program at JBLM, please contact Edward Huffman, program manager, (253) 966-7756. Previous Hospital Patients Rely on Lifesaving Blood Every Day – But How Does it Get There?